Earn 2199 points to spend on future purchases. The System One BiPAP S/T includes all of the great features you expect from a sleep therapy system including a wide pressure range (4-25cm), patient adjustable ramp, automatic altitude adjustment, data card, the latest BiFlex comfort technologies, and a universal power supply. In addition the BiPAP S/T's bi-level therapy -- with a high pressure on inhalation and low pressure on expiration -- provides a more comfortable sleep experience than standard CPAP therapy. Finally the BiPAP S/T offers the added security of a SPONTANEOUS TIMED mode which will initiate a breath, after a set period of time, if no patient breath is detected. The BiPAP S/T's Digital AutoTrak Technology detects the onset of inspiration and exhalation and has the ability to recognize and compensate for leaks, both intentional and unintentional. 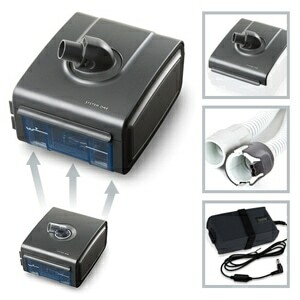 The BiPAP S/T is designed to provide two different types of bi-level therapy. 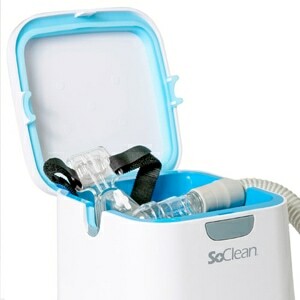 In SPONTANEOUS mode the BiPAP S/T with Bi-Flex tracks each breath and provides pressure relief at 3 points in the breathing cycle -- while transitioning from exhalation to inhalation, during exhalation, and while transitioning from exhalation to inhalation -- to ensure a comfortable, natural breathing experience. 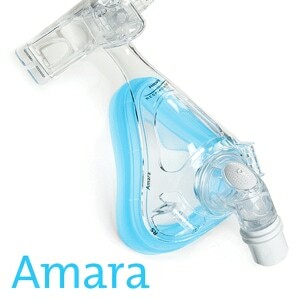 In SPONTANEOUS TIMED mode the system continues to increase pressure on inhalation and decrease pressure on exhalation; but additional Breathe Rate & Rise Time settings enable the machine to initiate a breath, switching from exhalation to inhalation automatically and comfortably, if a natural breath is not detected within a set time frame. Many BiPAP users find that the addition of heated humidity to their sleep therapy system improves comfort and helps with overall compliance. The optional System One Heated Humidifier delivers optimum humidity, drastically reduces rainout, and provides ultimate comfort throughout the night by analyzing and adjusting to ambient temperature, changing environmental conditions, relative humidity, and therapy flow. Revolutionary Dry Box technology isolates the humidfier's water source from the inner workings of the device to protect against accidental spillage and water damage. System One Resistance Control achieves complete system comfort by enabling the device and mask to work optimally together. Through simple settings, the System One Resistance Control instructs your BiPAP to compensate for variable resistance characteristics related to different masks. The result is synchronous pressure delivery and the assurance you can enjoy the full benefits of your system no matter which mask is used. The System One BiPAP S/T tracks many common OSA related events including AHI, leak, clear airway apneas, and minute ventilation. It recognizes and compensates for leaks. In the Package PR System One BiPAP S/T BiLevel, SD Data Card, Carrying Case, Filters (2 Reusable Foam Filters Included, Optional Ultra Fine Filters Available Separately), 6-Foot Performance Tubing, Printed Users Manual, Power Cord & External AC Power Supply, 2-Year Manufacturer's Warranty (BiPAP Only). Heated Humidifier available as a custom add-on in shopping cart. Each PR SystemOne Series CPAP/BiPAP Machine includes an FAA Approved label on the base of the machine for easy identification. Always contact your airline prior to your flight to confirm any requirements they may have -- such as a copy of your prescription and/or a letter of medical necessity -- for allowing your CPAP/BiPAP on board. This product is approved by the FAA for use on all commercial flights within the US and all international flights that depart or arrive in the US. Click here for TSA / FAA information on traveling with sleep and oxygen therapy. Always contact your airline prior to your flight to confirm any requirements they may have (i.e. a copy of your prescription or a letter of medical necessity) for allowing your device on board. 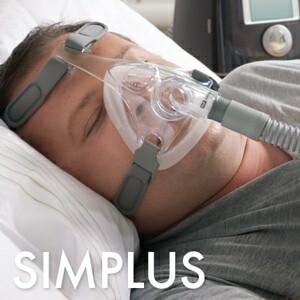 Tubing Compatible with all Standard CPAP Tubing, Performance Tubing, and Slim Performance Tubing. I LOVE my ST Debby. I had to write after i read Debbie's review that said the bPAP ST wasn't worth the money. Just because your doctor won't read the card data doesn't mean the machine is bad... not sure about your doctor though. I got my bPAP ST last year and love it. I've never slept so well. How is your machine working? I don't mean the card, I mean the machine?!? 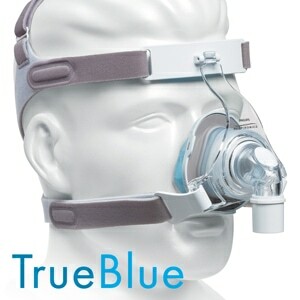 My husband has used a BiPap for several years and now has to have oxygen as well. The sounds coming from the machine and hoses has been very difficult to ignore. Three days ago he started using the System One machine. I kept checking it because it is so silent I thought it was off! He also hasn't snored using this machine. I love it and so does he.